The tour – which is called One on One – will launch in Fresno, Calif., on April 13, before winding through North American cities like Portland, Seattle and Vancouver. You can see the first batch of tour dates below. 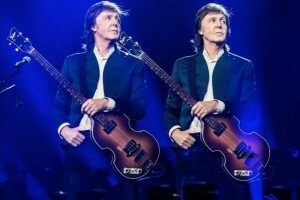 This new tour will also feature the same band McCartney has played with for the past decade, including keyboardist Paul “Wix” Wickens, bassist and guitarist Brian Ray, guitarist Rusty Anderson and drummer Abe Laboriel Jr.
New, McCartney’s latest album, came out in 2013, and he’s been on the road for much of the time since then – though he did have to postpone some dates following health issues in 2014.